If income or debt-to-income is the problem, there are a few common options to look at. There are some lending institutions that will look at a buyer's situation on a case by case basis. And even though they may not be able to sell your mortgage on the secondary market, they may decide to offer you a mortgage that they will keep in house. This is generally at a slightly higher interest rate. Another option is private financing, which can be very different than owner financing. There are investors who will loan money and act as the bank. However, they generally charge points and a higher interest rate. Owner financing is sometimes an option. Creatively, I prefer to use a blend of these options, especially if the buyer has substantial reserves and other assets. Show me a willing and ready buyer with money in the bank and I will find a way to get them into a home. 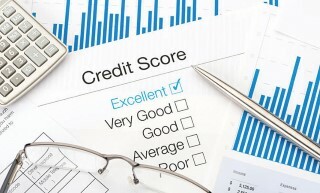 If your credit score or FICO score is too low to qualify, there are options for that as well. Which option or options we choose depends on just how much work needs to be done. I have helped many buyers work with agencies who get results and repair credit rather quickly. How quick depends on what needs to be repaired and how hard you work to assist in repairing your credit. Bankruptcies and foreclosures are difficult, while other issues like medical and student loans are fairly simple. Every situation is unique, and the key is to not give up. Work towards your goal with diligence and determination. Find an experienced realtor who has worked with people in situations like yours. Again, find an experienced realtor who has worked with people in situations like yours. I repeated that because it is extremely important to find a realtor with experience and knowledge of how to handle situations like yours. You want a realtor who is creative and good at solving problems. You want a realtor who has helped others successfully in the past. It shows that the realtor has the patience and understanding to work with you through the whole process. As realtors we are here to help you and guide you through the process of reaching your goal of owning your own home. Article provided by: Matthew Trudel, Broker and Owner of Five Star Realty, Windham, 207/939-6971.